Focus more on the big things you want to do. See how to handle high call loads. Learn 5 ways to update your IT service operation. Ivanti Service Manager integrates existing phone infrastructure with the IT service desk environment for intelligent call routing, integrated voice response, voice self-service, screen pops, and call management functionality. Empower your IT service team with voice automation to improve customer satisfaction with increased first call resolution rates and better call handling. We also want to integrate the system with our telephone system, so that we can create tickets outside normal working hours. 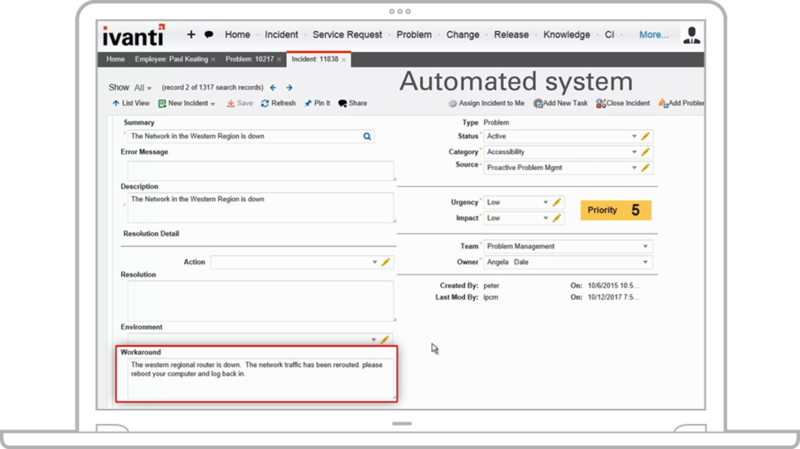 Bring some much needed help to your service desk with integrated voice support. Your agents get help from voice automation to accelerate problem resolution, and your callers get better service with less time on the phone, all with Ivanti Voice. Greet callers with prompts for intelligent call routing while agents get help to accelerate problem resolution. 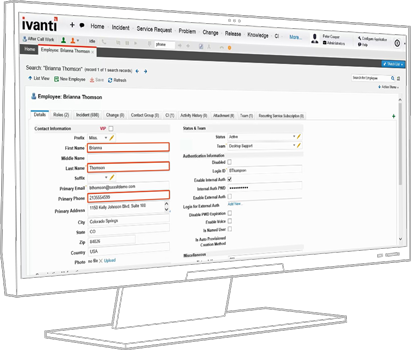 Combine Ivanti Service Manager and your phone system for a completely integrated, voice-enabled service management solution. See how Denton Independent School District also increased first call resolution rates. Make voice calls part of your automated workflows. Let callers check status, create incidents or make requests like password resets. Save time with automatic ‘screen pops’ with relevant contact and incident information. Connect your phone system with industry standard SIP trunks. Route calls to the right resource the first time. Recognize and route priority callers immediately to provide ‘white glove’ service. Improve agent performance with listening, whispering and conferencing capabilities. Manage all calls, requests and incidents in one single queue for any type of call or service request. See how others have delivered a better customer and analyst experience by phone-enabling their service management processes and workflows. We’re standing by with solutions for your service desk challenges. Our helpful experts are ready to help you select the best service management solution.